When you receive an incoming call, your phone starts playing the ringtone set by you. You can set any audio file as the ringtone on your smartphone. But very few people know that you can also set a video as ringtone on your Android phone. For making this possible, there are few video ringtone apps that let you set any video as a ringtone to play for incoming calls. If you are not sure what app to use, here is the list of best video ringtone apps for Android. If you search for video ringtone on Play store, you will find lots of apps claiming to be a video ringtone app. I have tested top results and found that not all work as promised. Most of those apps were full of irritating ads and even the incoming call screen had ads. Few of those apps were not respecting the phone’s default settings. If you put your phone silent, it was still playing the audio in full. This is the reason, the list of best video ringtone app is smaller as compared to other lists on our website. I am basically listing two apps after testing lots of video ringtones available in Play Store. I recommend the first one but you can also try the second one if you want. Vyng is the best and my recommended app to set videos as ringtones on your smartphone. The app lets you select any video ringtone available on it and even allows you to choose your own video as a ringtone. You can either pick a video as global ringtone or pick a specific video ringtone for a specific caller. 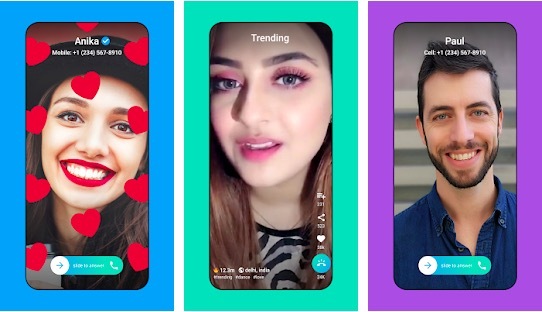 Not just video ringtone, you can also use this app to find funny videos to share on social media or as WhatsApp status. You can download an unlimited number of videos for sharing on other social media platforms. So, not just the video ringtones, this app can also be used to browse trending funny videos and share those videos with friends. It is worth to note that the app was launched in India earlier this month (Jan 2019). 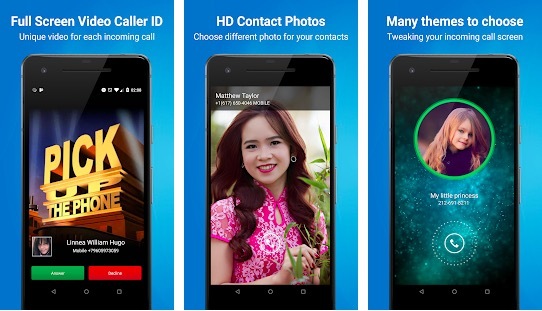 Video Caller Id is another video ringtone app that lets you set a video as a ringtone for incoming calls. It supports HD videos for caller id. You can also set photos to display at the time of an incoming call. If the video is vertical, it will be played in full screen. It also comes with a collection of video ringtones to choose from. You can set different video for different contacts, set sound volume or change style of an incoming call. You can also enable the pronunciation of the name of the caller. There are lots of themes to directly use for incoming call screen. When you first run the app, it asks for lots of permissions that may confuse many people. I will keep testing other video ringtone apps to see if there is anything I can add to the list. I could only find two working video ringtone app and Vyng is the one I recommend. In case you think I missed a good video ringtone app that should be the part of this list, you can suggest me the name using the comments section.